Home » NEBRASKAland Magazine » Ice Safety Reminder, Again! I am not going to pretend to know when we will have safe ice. If I did know, I would still tell you that it is up to YOU to be sure that it is safe every time you walk on the ice. I am not going to take someone else’s word for it and you should not either. You have to make that call yourself. I will tell you that we are getting close to seeing safe ice, but there are too many variables to make valid predictions. Even if one waterbody locks up with ice and is safe, that does not mean the next one is safe too. 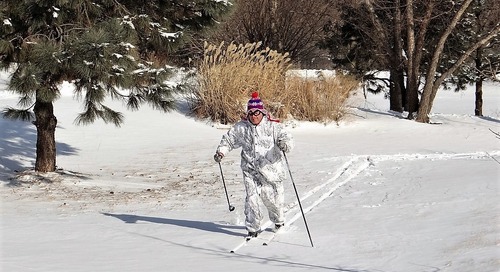 Generally, small bodies of water freeze and thaw faster, but beware of sandpits in Nebraska as the groundwater flow in those waterbodies always keeps the ice thinner than one might expect. From the forecasts I am looking at, we are getting close, but I am afraid it may not be quite cold enough to make it safe. It might be cold enough to cap over, but maybe not cold enough to make it thicken. It takes more than temps. just getting below freezing. I share everyone’s enthusiasm and will be on the ice as soon as it is possible, but I always believe folks need to hear about caution and safety. Do not get in a hurry! 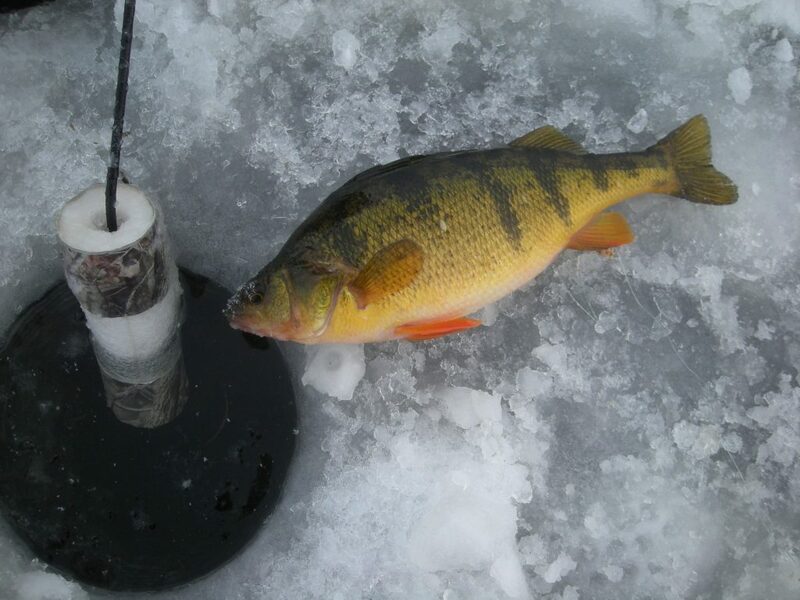 With cold weather finally settling in, ice fishers are looking to walk on water. Here's how to stay safe. Better yet, take a little more time and watch this video, it is more thorough and it ain’t me! You will find that serious ice sticks will all tell you the same thing about the spud bar or ice chisel–get one, use it! I have said it should be called THE ice safety tool, rather than “spud bar”– I believe it is that important! This video is short, but does an excellent job of explaining the use of a spud bar–WATCH IT! In other words, if you do not measure it, you don’t know what you are talking about! If anyone should know this, it is fishermen, “4 inches”? “Yeah, sure”? 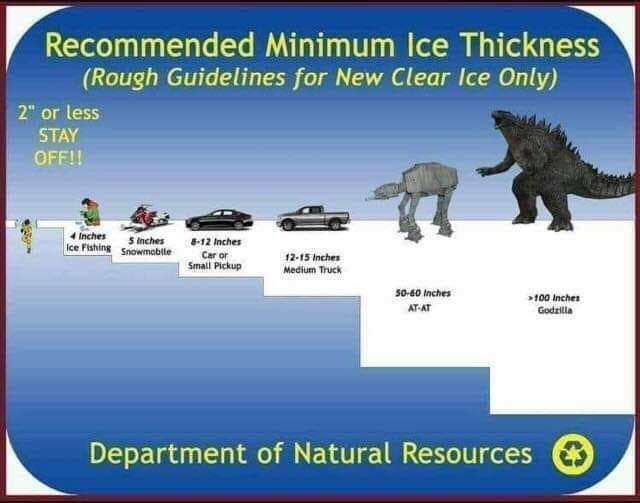 Of course we know that we do not have to have enough ice for Godzilla, everyone knows Godzilla is a marine creature and never ventures this far inland. 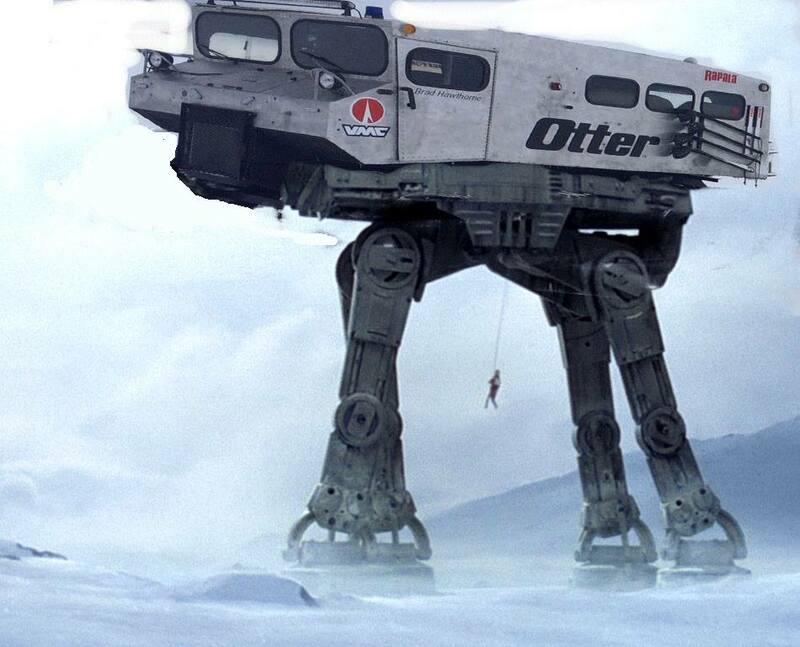 But you should know how much is needed even up to an “ATAT Walker”! 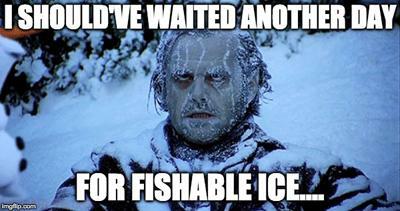 I am looking forward to a long ice season, hope I have all kinds of pictures and adventures to share with you. I will get started on that as soon as possible, as soon as it is safe! The post Ice Safety Reminder, Again! appeared first on NEBRASKALand Magazine.